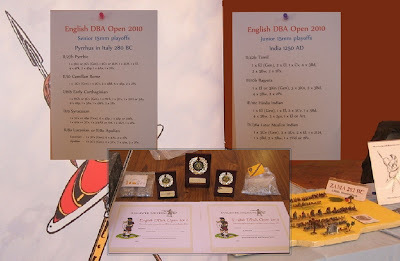 With no show attached, this is a nice opportunity for me to join in as well as present trophies, and I usually make the effort to turn up with something interesting (so, Christian Nubian, last year...). 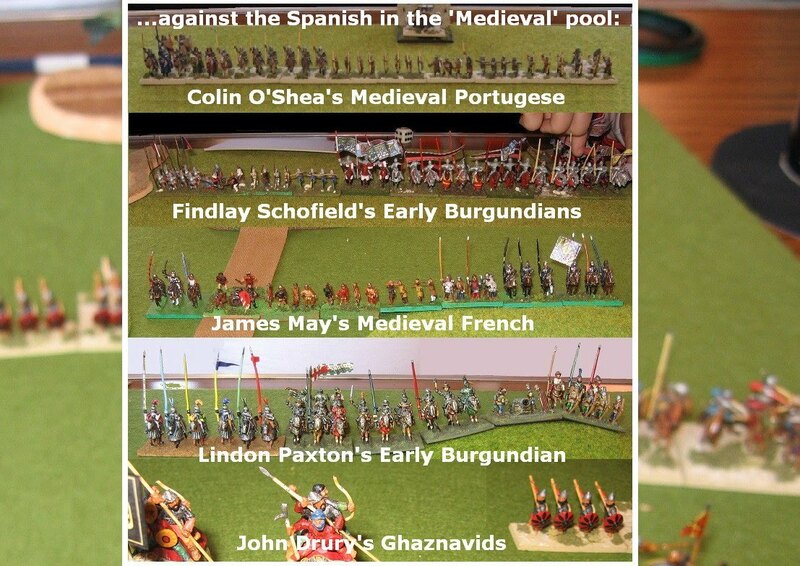 This year, my choice was Feudal Spanish - the later (c) option ... a fine and colourful army, of course, but interesting? Well, I'll own up ... the Spaniards were part of my very first 15mm ancients army, built for 7th edition games 20 years ago. They have been undergoing some repairs and renovations recently, and configuring them into a DBA outfit would give them a proud day out. 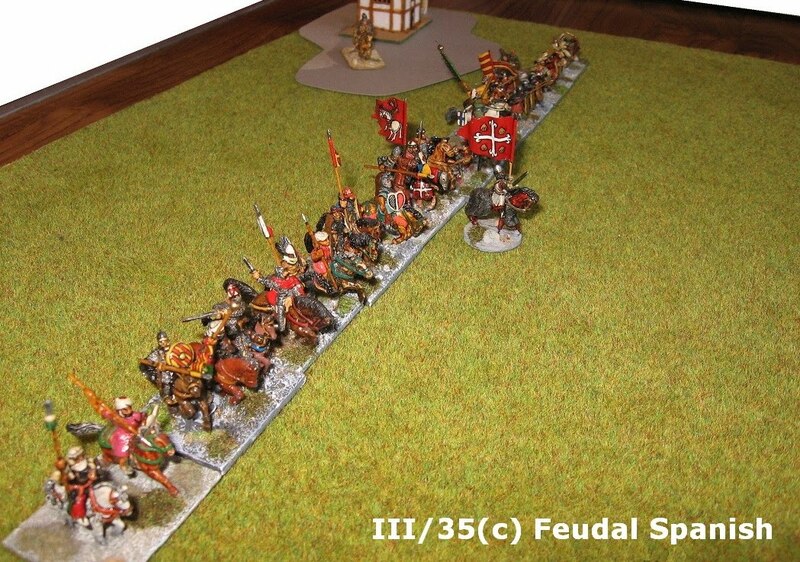 They are an Aragonese command from the famous campaign of Las Navas de Tolosa, led by the Master of the Order of Santiago. 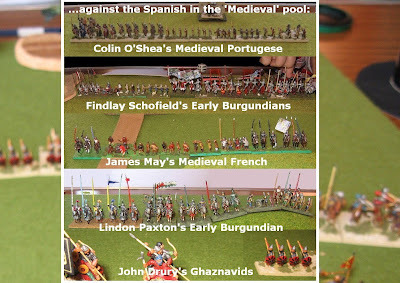 Although the event is an 'open' competition, the organisers dropped us into period pools, and these early 13th century knights found themselves up against Medieval Portuguese, Medieval French, two Early Burgundians and a Ghaznavid ... not contemporary/historical opponents (Andalucians/Berbers) of course, but not too far a stretch bar those Ghaznavids (unless you count them as something rather like Berbers with elephants ... ?) 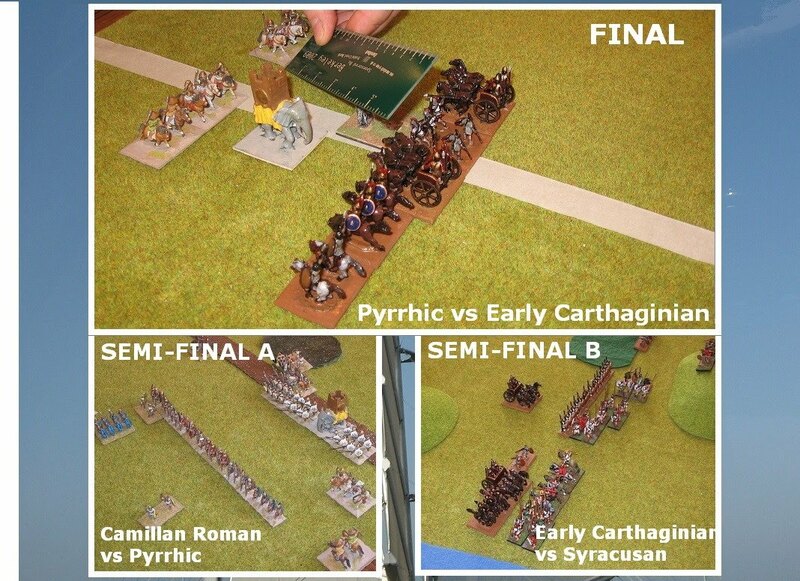 ... Five games roughly in a period pool, then semis and a final with themed armies supplied by the organisers (if we made it). 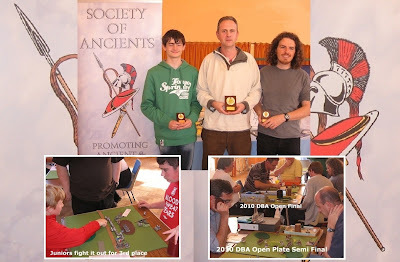 There were 18 entrants in the Open, so we played off in three pools of six. And the round robin games are played to the customary Portsmouth 30 minute blitz format (5 points for an outright win, 2 for a winning draw etc. So you had better get on with it as there isn't much time) ... OK - I could have done with a bit more time (mostly because I am too chatty - and too rusty - at the start of these things), then again, I do like the time pressure (negative play will get you nowhere). 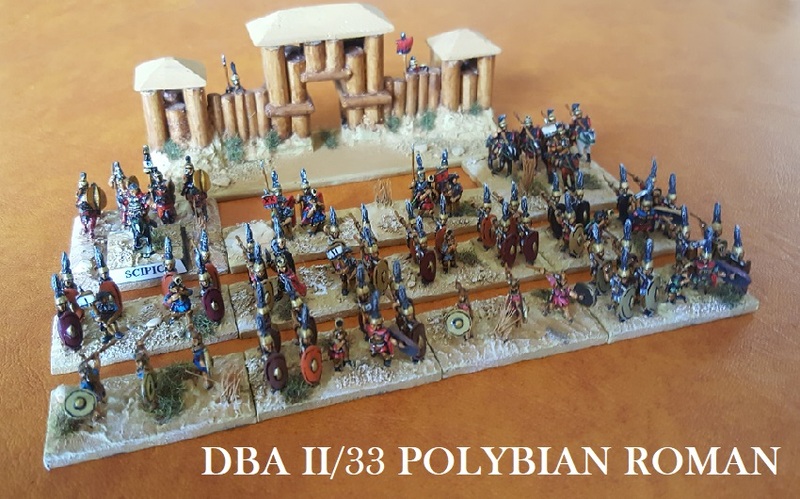 Of course, under time pressure, an army half comprised of Knights and Light Horse is not a bad formula, and these veterans served me well (they have played 7th Edition, DBM and Armati as well as DBA under my command, so they are used to the occasional 'uphill' mission ...). They pulled sufficient irons from the fire to earn 2 outright wins, a winning draw, a losing draw and a defeat - so an entire win to the good over the five games. Not quite enough to get into a semi, but certainly troubling the scorers. 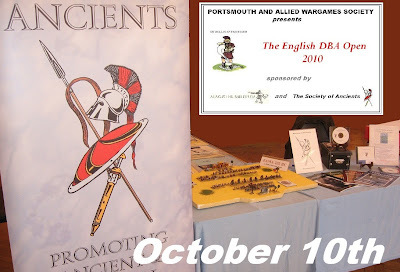 We had a leisurely break for lunch, during which I was able to do some promoting on behalf of the Society, hand out some sample issues of Slingshot, and demonstrate some of the ideas I have been working on in the DBA Zama game (which - a different way to approach history with DBA - had been displayed on the SoA membership stand throughout the day ...).. 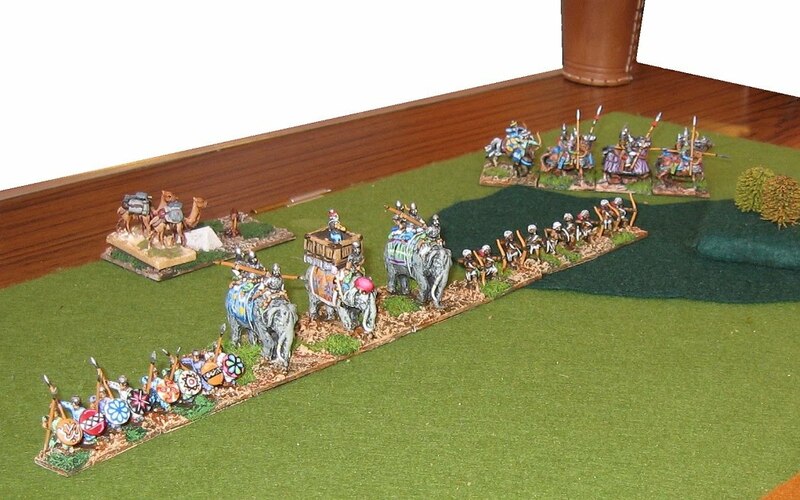 The Juniors, who had played in the open pools, then had a semi-final and final using a Medieval Indian theme, while the pools winners (plus top scoring runner-up) went forward into a 'Pyrrhus in Italy' theme for their semis. From my pool, Lindon Paxton swapped his knights for Syracusans. 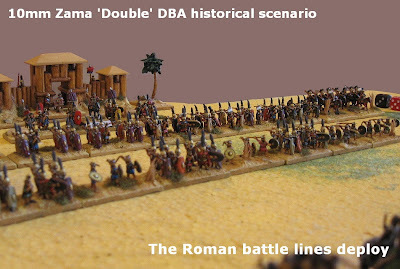 In one semi, he faced Scott Russell with Early Carthaginians. In the other, Arnaud Marmier played Mark Schofield (Pyrrhic vs Camillan Romans). James May won the Junior final, and Scott Russell went through against Arnaud Marmier, and came out a 4-1 winner. Meanwhile, those of us not needed for all that had a plate competition. I got knocked out straight away, and Richard Pulley won it. Thanks to Bill MacGillivray and Adrian Webb for running it. Thanks to Magister Militum for joining the Society of Ancients as sponsors. I am amazed at this 30 minute time requirement. Here, in New Zealand, we have 60 minutes which includes terrain set-up. Even this is hard for some players and armies. We tend to have six rounds in the day, sometimes dropping to five if time is short. The format is pools of 6 yielding 5 games per player (30 minute games) ... then a semi and a final (45 minute games) ... this year there was a plate comp for anyone knocked out at the pool stage that wanted further games. So everyone got at least 6 games if they wanted. Between about 10 am and 4pm. 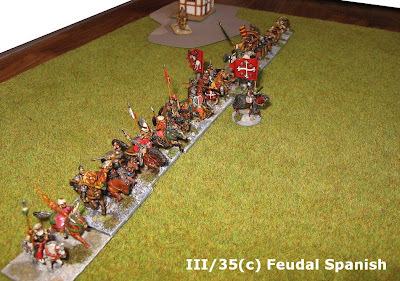 As NZ, time allowed includes terrain and set up. 3 of my 5 pool games were decisive DBA results, rather than timed out. Knowledge that time is of the essence does encourage players to get on with it. 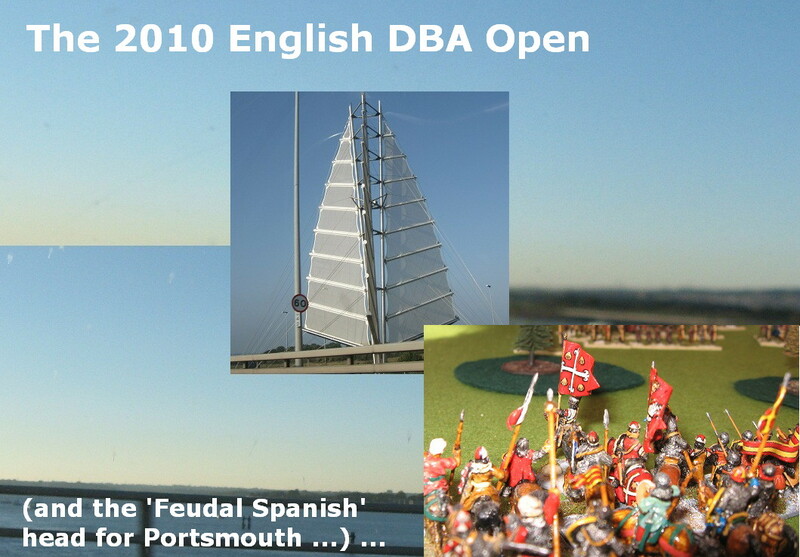 Certainly it is hard to get bored with DBA. Here the one day format has proved popular with old and new Ancient gamers. Along with a good number of SOA members.